The recent events in Wisconsin over Gov. 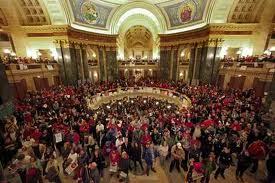 Scott Walker’s plans to discipline the compensation and bargaining rights of public workers is exactly the kind of public controversy in which Catholics ought to have a voice… but often don’t. Much of the debate is portrayed as a question of whether public workers are overcompensated. The New York Times constructed a graphic that attempts to get at the “complexity” of the issue, but the lens used is telling. Like most reports, the standard is a comparison between public and private wage and benefit levels. Besides the problem of comparing the diverse work forces, the bigger problem lies in the assumption that the “right” wage level is the level earned by comparable private-sector workers. But perhaps the janitorial staff at private companies is paid in an unfair way? What most of the comparisons show is that lower-level workers are paid better – sometimes significantly better – than private-sector cpounterparts, while upper-level jobs are paid better – sometimes significantly – in the private sector. But Catholic teaching on the just wage should surely favor the distribution in the public sector, right? Yet I have not seen or heard any reports that draw this conclusion. 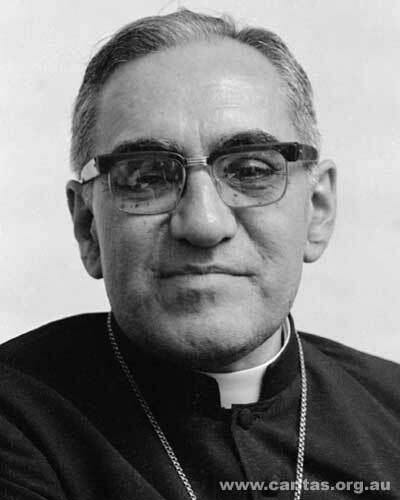 Archbishop Romero is now a martyr. As Catholics, should we take an holistic view on the subject? If we pay lower-level workers much, much more, will we risk eliminating their jobs altogether through automation? Is zero a just wage for these workers? Would the lower-level workers feel having no job is more fair than a lower-paying job? What about seniority in public (or private) unions? 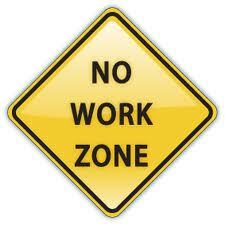 Are we protecting the high-wage earner at the expense of the lower skilled workers? Is this also a just-Catholic value if many of the lower-skilled workers are minorities and the higher-waged workers are white people? I’m not making a comparison with the public sector, just expressing a concern for all people and not just a selected group. Thank you! It’s amazing to me that no one in main stream media has questioned the assumption that you point out here. It leads to the proverbial “race to the bottom” in workers’ pay. The same dynamic happens in media coverage about auto workers’ pay. First, the retirement pension costs of the Big Three are averaged into current workers’ reported pay and benefits, grossly exaggerating what a contemporary unionized worker takes home. Then, it’s compared to what the non-unionized workers in foreign-owned auto plants in the US make, with the assumption that because Toyota and Hyundai workers make less than do unionized Ford and GM workers, the Ford and GM workers ought to take pay cut, and the union ought to be undone because unions are bad for the ailing economy! There a lot of issues here and the debate has tended to simplistic statements in support of one’s political views. The reality is that most do not understand the financial implications of all the commitments that have been made to public employees. In general, public employees are extremely well paid compared to the average person in the country and their retirement benefits far exceed that in the private sector. The money to finance current monetary commitments and future retirement guarantees is bankrupting or will bankrupt the system in a relatively short time. And if one has a commitment to so called “Catholic” social justice, how can Catholics support a system that is draining the money away from this objective to pay for the comfort of upper middle class people. The school board in Milwaukee announced that the average teacher there would receive salary and benefits totaling over $100,000 in the next school year. Over double what the typical person in Wisconsin makes. I put the word Catholic in quotes above in reference to social justice because one has to examine what is blithely called social justice and see if in fact it accomplishes what it was intended to do. Is it social justice to provide a wider range of health care if that process puts people out of work because of its costs and has the unintended consequence of actually restricting what options people have in terms of health care. Too often Catholics just mouth certain niceties without examining the real world consequences of what they advocate.